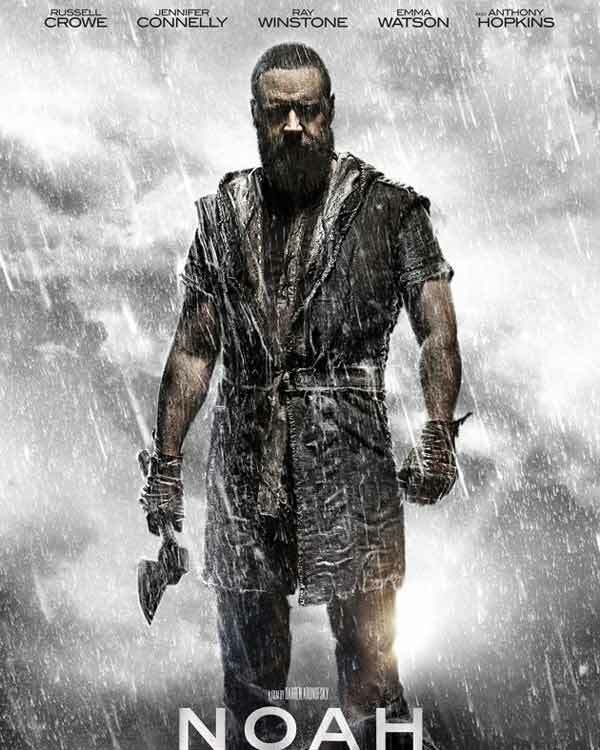 I know, you’ve heard about all you want to hear about Noah, the unbelievably un-biblical movie meant to be a slap in the face to Bible-believers everywhere. That’s why I am not going to give you any commentary; you’ve probably read it all by now. One thing is for sure (and this movie proves it in spades), whenever you go to a movie you’re likely to be disappointed if you think the screen adaptation is going to be as good as the book. Seriously, how often are movies as good as the books they are loosely based on? About the only ones I can think of are the first Narnia movie (Lion, Witch, and the Wardrobe) and the version of A Christmas Carol that had George C. Scott in it. That’s about it. Noah’s story, as found in the Bible, is perfectly exciting. It is full of all the things that make a great movie a great movie: drama, action, animals, exotic locations, suspense, larger-than-life sets, and colorful characters. It even has its share of death, destruction, pathos, and the miraculous. So why change all of that? Why trash the written account in order to create a fictitious, over-the-top, insulting flop? Maybe it’s time we go ahead and make more movies using the Noah template? Instead of calling these new movies knock-offs, we could call them knoahk-offs! I mean, why not take the stories atheists and humanists know and love and turn them into evangelical sermons? The God Delusion (by Richard Dawkins). In this movie, a must-see by Dawkins’ fans, Yahweh actually sits down with Little Richard (the singer) to compose a musical called “The Delusion of Unbelief.” In this unique creation (pun intended), God describes Himself to the world as a loving, sacrificial Sovereign that wants to open the eyes of unbelieving vegans. God Is Not Great (by Christopher Hitchens). This movie version of a classic by the late, great Hitchens will have audiences rolling in the aisles. God Is Not Great is a Christian comedy featuring the humorous, yet humble side of the Creator. Movie attendees will laugh along with God as He mocks those who deny His existence and get a kick at how He plays practical jokes on unsuspecting, self-deluded college professors at UC Berkeley. Harry Potter (by J.K. Rowling). Atheists and lukewarm Christians everywhere love the Harry Potter series of books and movies, but a remake was inevitable. Yes, a truly accurate depiction of the books (with some creative license, of course) will be brought to the screen. Instead of witchcraft, Harry will be filled with the Holy Spirit, lead Hermione (who played in Noah) to the Lord, get married, attend Moody Bible Institute, then start Hogwarts Baptist Church in Herefordshire, UK. So, what do you think? I don’t think anybody will be offended, do you? Freethinkers should applaud trashing the writings of their favorite authors, don’t you think? I mean, at least that’s what people are saying we Christians should do with Noah. If Darren Aronofsky can create a Noah “for the 21st century,” there’s a lot more stories needing an update. Saw this and thought of you and this post.